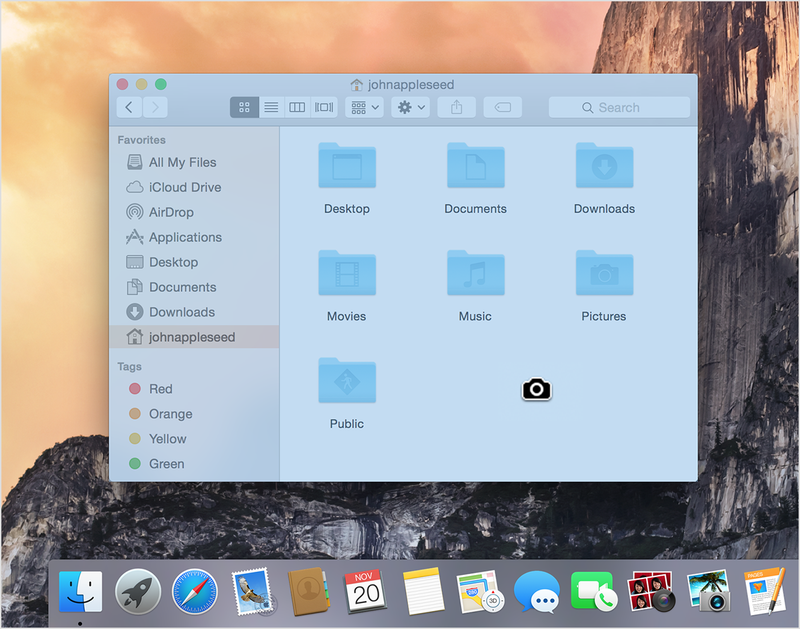 How to create a screenshot on a Mac ? You can capture your entire screen or just a selected portion of it. The screenshot is automatically saved to your desktop. Move the crosshair to where you want to start the screenshot, then drag to select an area. Press the Space bar. The pointer changes to a camera. Move the camera over a window to highlight it. Click your mouse or trackpad. To cancel, press the Esc (Escape) key before you click.